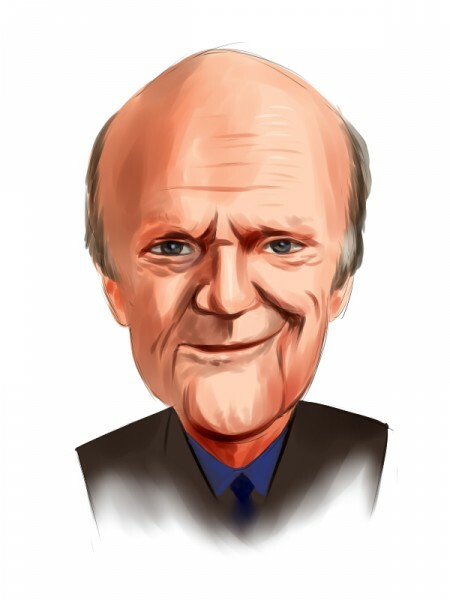 Julian Robertson, founder of hedge fund Tiger Management, told CNBC in an interview broadcast on Wednesday that he was bullish on the shares of Microsoft Corp and Air Canada. Robertson praised Microsoft’s management and cloud business, calling it a “great company.” Tiger Management owned 403,000 Microsoft shares at the end of the second quarter, according to a Securities and Exchange Commission filing. He called Air Canada well run and “very cheap,” noting that it was trading at just three and a half times earnings. One of the world’s most famous hedge fund managers is the latest to throw his hat into the ring of socially responsible investing. Paul Tudor Jones, the founder of Tudor Investment Corp., is backing a nonprofit organization called JUST Capital. He said the group has created what it calls America’s Most Just Index of 32 companies based on how they treat their employees, consumers, communities, shareholders and the environment. The icing on the sustainably sourced cake, according to Jones, is that the group of companies has significantly outperformed the stock market this century. Hedge funds should stop making excuses for poor performance, the chairman of Lansdowne Partners said on Wednesday against a backdrop of weak average returns that have prompted some to pull their money out. “When we as managers … have a bad year, we need to be honest and tell clients we are making mistakes,” Stuart Roden, who heads up one of London’s oldest hedge fund firms, said at the Sohn Investment Conference in Tel Aviv. The average hedge fund had returned slightly more than 4 percent in the year to end-September, industry tracker Hedge Fund Research (HFR) said, less than half that of the FTSE 100 over the same time period.